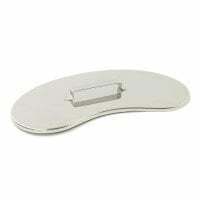 Kidney dishes serve for setting aside instruments, dressing materials or syringes, as well as for catching liquids. 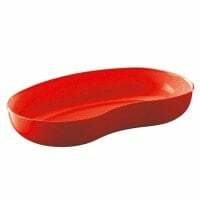 In our online shop, you will find universally applicable kidney dishes for one-time or long-term use made from cellulose, plastic or stainless steel. 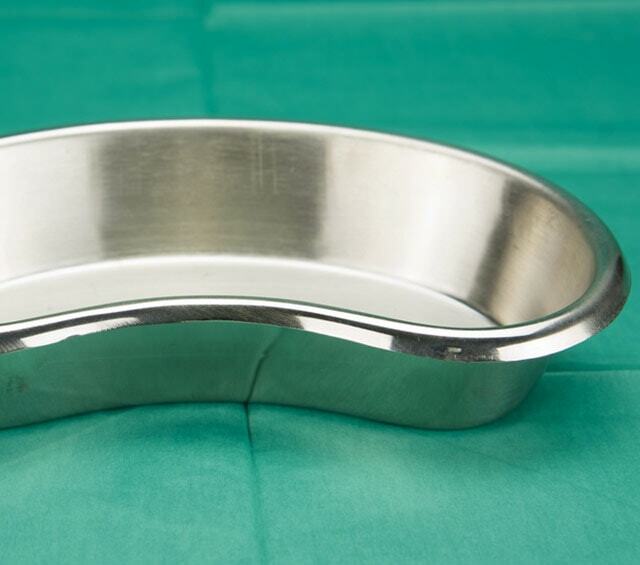 The kidney dish is regularly required in almost every surgery, podological practice, hospital and even in piercing studios. 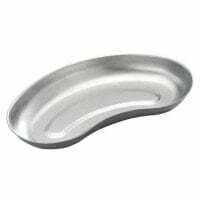 Kidney dishes are excellent as instrument dishes, for prepping dressing materials and syringes, as well as for collecting liquids during wound rinsing. Kidney dishes are also often applied for setting aside used instruments or syringes, or even for readying blood drawing utensils. Depending on purpose, kidney dishes are available in different materials. 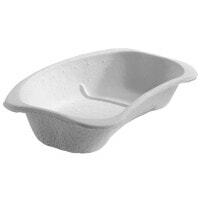 Cellulose kidney dishes are immediately disposed of upon use. 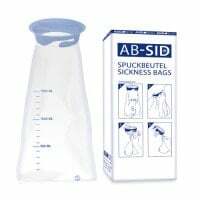 Therefore, they are particularly well suited for readying dressing materials and blood drawing utensils, as well as for collecting used bandaging materials during a dressing change. 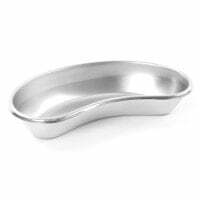 Metal kidney dishes, on the other hand, can be easily disinfected and sterilised; most can be autoclaved. Therefore, they are perfect for hygienically important activities. Furthermore there are also plastic, re-useable kidney dishes. With Praxisdienst, you can purchase from a large choice of affordable, high-quality kidney dishes, made from various materials.